After raising her kids and realising she didn’t want to do market gardening anymore, Jean Newman felt stuck on what to do next. Now this Levin-based teacher aide from Waiopehu College is heading towards her 8th year in her teacher aiding job that she absolutely loves. Teacher aides assist teachers in supporting students achieve their learning out comes. They work in a classroom by working with students on a one-to-one basis, or in groups. She shares that ‘learning by doing’ is really important and they use interactive activities to support learning. In June 2016, Waiopehu College opened a new learning support centre, Te Whare Awhina, that includes a sensory room. 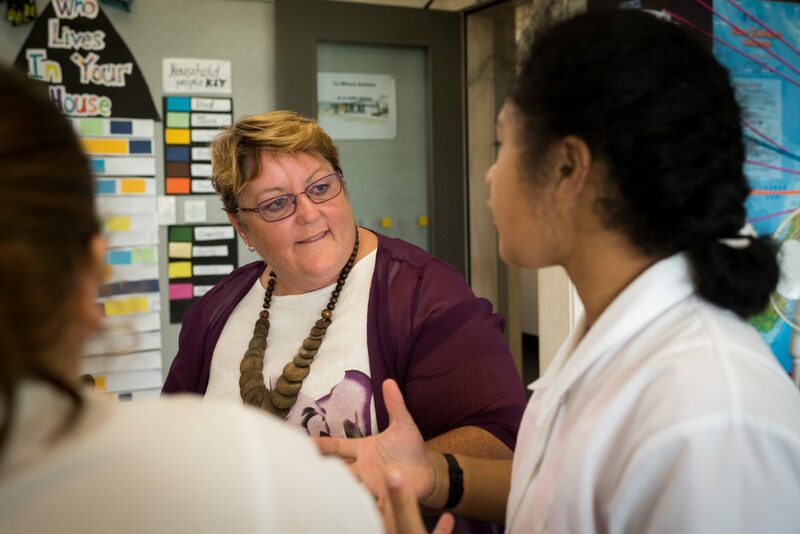 The intensity of the role didn’t stop Newman though from wanting to upskill in the job that she loves, to improve the support she provides to her students. She has just completed the NZQA recognised New Zealand Apprenticeship in Community Facilitation with the help of the Te Whare Awhina teaching staff, and industry training organisation, Careerforce. Newman now encourages other teacher aides to consider completing this apprenticeship programme.